Concerto for basson, strings and piano in A minor, RV 498. Concerto for basson, strings and piano in A minor, RV 497. 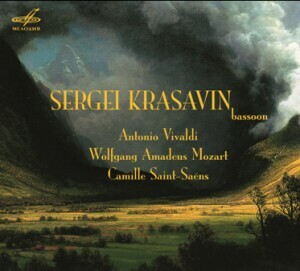 Concerto for basson, strings and basso continuo in F major, RV 489. Sonata for Bassoon and Cello in B-Flat Major, K. 292/196c. Concerto for basson, strings and piano in G major, Op. 168.